90's vibes for all of us 90's kids- it's in our blood and we can't resist this latest love affair with Adidas. I teamed up with Adidas to show you my favorite items for getting in those Spring workouts- yes in perfect time for summer! The classic black legging is always my go to and these have a great thickness, not see through, but still stretchy from yoga to running! The awesome ClimaLite technology wicks away any sweat from the skin and keeps you feeling cool and fresh. Speaking of ClimaLite, this sweatshirt is my new go-to as well! Comfy and not oversized, because I can't stand how girls don't wear athletic clothes around campus that actually fit their bodies correctly. Come on lets look good in class for once!!!! Still do-able wearing what you worked out in before class by the way! Now this tee shirt- let me tell ya! It's called the long tee for one reason, it's long! And I love it for that! Us gals like the big tee shirts because they look great with leggings, however it's fitted through the torso and the shoulders don't hang off! Fun colors too; in case you haven't go check out Adidas NEO line full with bright colors and sweet patterns. *This post contains affiliate links from Adidas, which means that if you click on one of the product links, I’ll receive compensation in exchange for purchases through those links. Although this post is sponsored, all opinions are my own. Wow I love this outfit! Great pictures, keep it up! Ah your content is so cute!! Do you have a youtube channel?? I am obsessed with those shoes!! Love this! 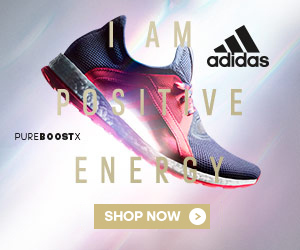 Do you have any more Adidas items you recommend for runners and training?